Welcome to Dundurn Elementary School! Dundurn School is renowned for its strong academics as well as its diverse range of activities and pursuits provided for its students. It is truly an enriching learning environment geared towards bringing out the best in students and staff in a commitment to excellence. At Dundurn School, we endeavour to provide a caring, positive learning environment where each student will experience success. As well, all of our students will experience opportunities to offer service and active citizenship within the school and surrounding community. Dundurn School and its staff are aware of the importance of incorporating technology into 21st century learning and we are striving to move our school to a leading technology innovative school within the Prairie Spirit School Division. 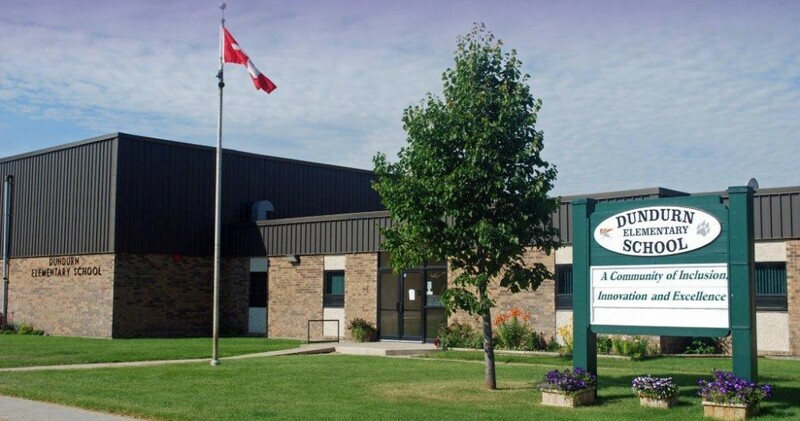 Dundurn School is fortunate to have a School Community Council (SCC) which is actively involved in many of the activities and initiatives of the school. Without this partnership between the SCC and the school, we would not be able to provide the many different opportunities that Dundurn students are able to enjoy. We would like to THANK the SCC for purchasing the Student School Planners this year! Please utilize this handbook to monitor your child’s learning and activities. It can be an excellent resource for communication between home and school. As well, please refer to this website for further details regarding all of the exciting and enriching events happening at Dundurn School. Contact the school with any questions that you may have and we look forward to a most successful year of learning! Congratulations and thank you! I appreciate being able to check your school website to keep up with what is happening at the school. I don’t always get to see the parent notes so I rely on your newsletters and calendar. Thank-you for the positive feedback! We will do our best to keep you updated!